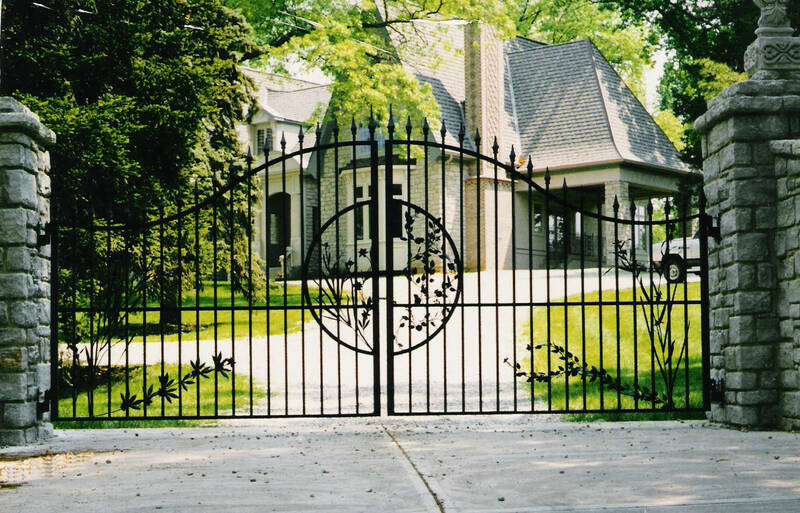 In Bonita Springs, Florida, the best way to keep your property secure is by using an access control system and gate operating systems. Whether your property is a large or small business near US 41, a gated community near Imperial Parkway or a private residence close to Bonita Beach Road, access control systems allow you the ability to control who enters your property. From gate operators and vehicle loop exit detectors to telephone entry systems and actuator arms, we sell and install the highest quality gate operating and access control systems on the market today. If you need expert service and repair our trained technicians can quickly assess your specific issue and provide customized solutions to fit the needs of your property. With over three decades of experience, our team can fulfill all the security needs of your property, large or small. Our reputation for outstanding quality is evident and unchallenged. We are dedicated to your complete satisfaction providing durable, long lasting materials, competitive prices and a 1-year warranty in addition to any existing manufacturer warranties. The visitor dials a pre-programmed number on the keypad, which notifies the resident, tenant or business by telephone of their arrival. Access is approved or refused by the touch of a key on either a cell phone or land line. From single doors to facility with numerous doors, our entry systems provided added security by controlling who is coming and going. For a simple security solution, consider keyless pad entry. Keyless pad entry systems require only a PIN code at the door or gate to gain entry, allowing only those individuals that know the pin number access to a facility. Whether you are an HOA manager in need of security in one of your gated communities, the owner of a day care center or the manager of an office building, our keyless pad entry systems are durable, provide better access control, increase safety and are easy to use. Keyless pad gate openers, ideal for gated communities, individual residences and large businesses. 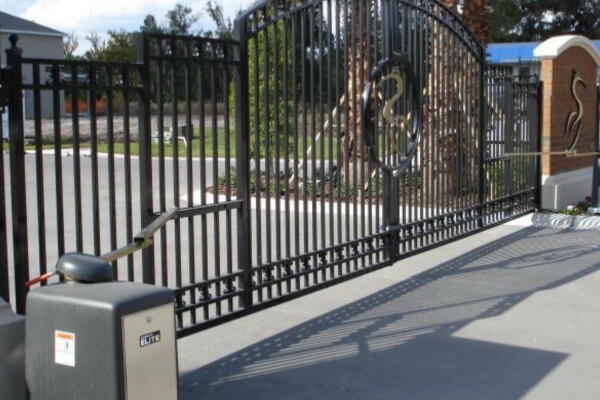 Keyless pad gate openers are ideal for gated communities, individual residents and businesses that want to ensure residents or employees can enter a community or facility with ease. It requires a bar code for the individual’s vehicle and a transmitter installed at the gate. When the vehicle approaches the gate, the bar code sends a signal to the pad, allowing the gate to open. 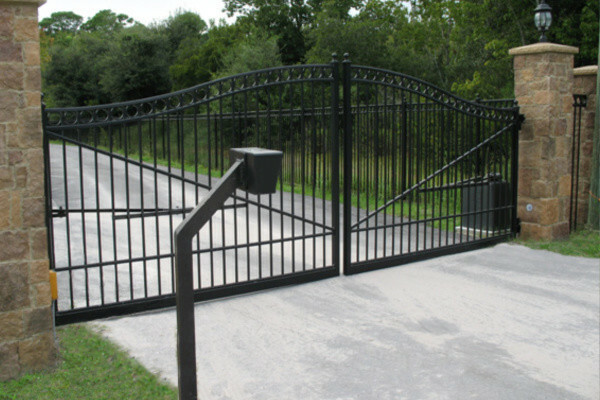 Our system functions on both swinging and sliding gate systems. Vehicle loop detectors provide guests, residents and employees the ability to freely leave a property. A vehicle sensor triggers the presence of a vehicle and opens the gate for easy egress. When you choose Carter Fence Company, you can rest assured knowing that you are not only receiving the best service and workmanship for your investment, but you are also receiving the highest quality products in the industry. We use only proven brands to ensure your access control gate system stands the test of time and meets all your needs. Carter Fence Company offers our customers over 30 years of experience. Locally owned and operated, we employ a team of highly skilled technicians that possess the specific knowledge for any access control gate system installation or repair job. We are committed to delivering the highest quality products and the best customer service in the industry. For more information, call us today! Otherwise, you can receive an instant estimate online by clicking the button at the top of the page. I have had Carter Fence do work for me at both my place of business where they replaced a damaged gate to our dumpster area, and at my daughter’s house where they installed a 200+ foot fence along her sea-wall. From the initial meeting with Lloyd, their estimator, to the conversations with Desiree, their scheduling manager, to their professional installers, everything went very well. Both jobs were taken care of to our complete satisfaction. The work by Carter Fence is first class. We always use Carter Fence Co. for any fencing projects in our community common areas. They replaced our perimeter fence, repaired it after hurricane damage and replaced our pool fence. They are competitive in pricing, show up when scheduled, efficient, clean and polite. Those are rare qualities to find these days. I recommend using Carter Fence for your fence needs. A very good job, start to finish. As everyone knows after the storm it was/is hard to find contractors to do the work. Carter Fence was the only fence company out of 6 that called me back, kept schedules and helped out with insurance issues. They quoted it professionally and worked hard to meet my needs. I needed the job to be done around my schedule and they accommodated me to the day. It was supposed to be a 3 day job and it was done in 2. They sent a large crew that performed professionally and there installation came out great. There were also supervisors who came out to inspect the work which adds another level of assurance for the customer. There were a couple of pieces that had gotten damaged and without being told they took care of it. It was very satisfying to work with a company that takes pride in their work and I would highly recommend them. I have used Carter Fence a few times in the past and again they did not disappoint! Estimator was timely, efficient, professional, and most importantly friendly! Scheduling and installation was seamless and just as promised. They even alerted me one week prior to the exact installation date so we could prepare the work area. The work was done in a professional manner and looks great! I will definitely use them again and continue to recommend them!